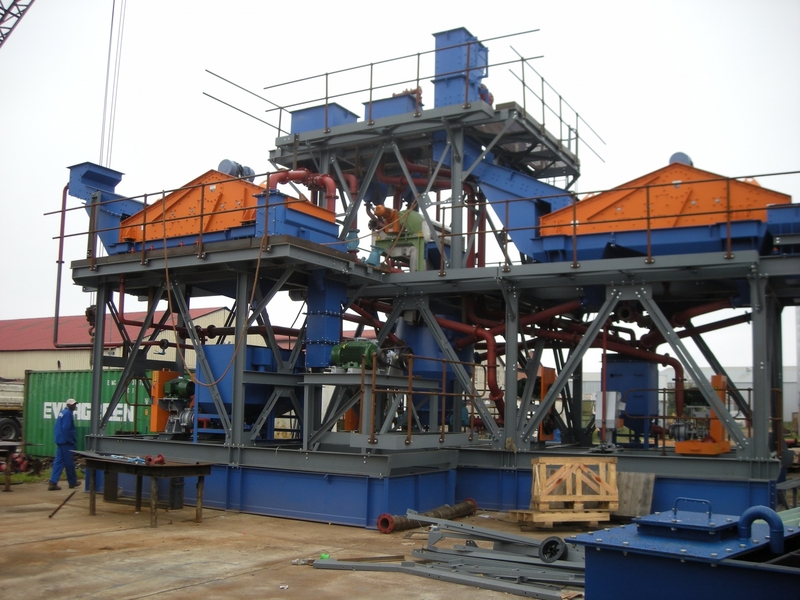 Modular crushing and screening plants. Packed bed columns are compact, allow high flow rates and are very efficient. Expanded bed columns are preferred for larger operations. Pumps on skids complete with valves, suction tanks, flow-meters, pressure gauges and filters (to prevent sprinkler blockages).